It’s doubtful the Supreme Court can easily erase or reverse what it did in these petitions and, in the irony of ironies, Kenyans must now look to the lower courts as the only place they can expect justice. To our luck, there are competent, rock solid judges and justices in those courts unafraid of rendering the right decision not for their own sake or others but for the sake of justice and rule of law. One of the justices I had in mind, is the Hon. Mr. Justice Isaac Lenaola, a distinguished judge of the High Court who has time and again rendered decisions and provided leadership in the court on constitutional matters making many of us wondering why he is not our Chief Justice. 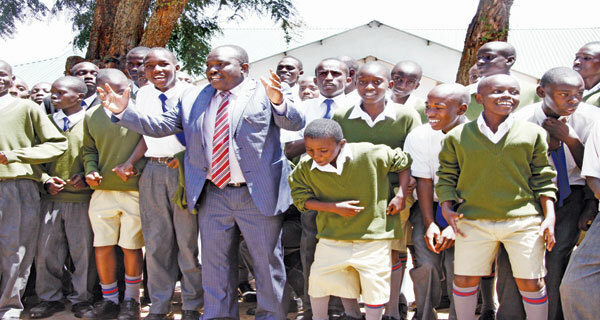 Justice Lenaola has once again rendered another one of those decisions in a landmark case ordering secondary school students who subscribe to the Seventh Day Adventist (SDA) church to be exempt from weekend classes that contravene their faithfaith and beliefs over their Sabbath. As a born, raised and adherent of the SDA faith, I applaud and thank Justice Lenaola and the court in behalf of all believers, not just the Adventists for this landmark decision and trust the justice will render the right decision as well when the underlying petition is heard and disposed of. It’s decisions like this that give us all hope the wheels of justice may be slow in turning at times or altogether off the axles leaving us stranded and scratching our heads as to what happened with the wheels but in the end justice will and does prevail with justices at the bench such as this great High Court judge of ours. Can we say the same thing about our Supreme Court? Let me not get started. Some people are over the moon with haippiness(majority) the minority like you are moaning.Keep on moaning for the next 20 years untill uhuru and ruto do 10 years each.By that time raila will be dead followed by his old farts friends who are in their 60s.THIS IS WRITTEN IN CONCRETE RAILA WILL NEVER BE PRESIDENT DEAL WITH IT. Harry, I am Jubilee but do not applaud of ua brickbat. This blogger is only appraising some gd work of an honest Kenyan, never mind the slight anti SC undertone. Methinks if we call our heroes by their names, such a rollcall mght just get more pages resulting in a dream country. JUSTICE LENAOLA IS A HERO, not a villain like the recently interdicted Pattni buddie.. . Whats his name again?